Harmonix Blog: DLC Week of 3/07: Bring Me The Horizon Pack 01! 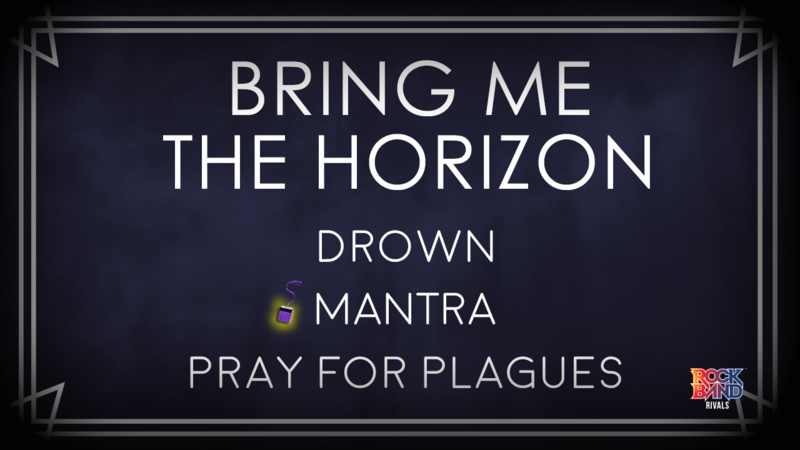 DLC Week of 3/07: Bring Me The Horizon Pack 01! This week, the career-spanning Bring Me The Horizon Pack 01 comes to Rock Band 4! This week, Bring Me The Horizon Pack 01 showcases a trio of songs from the U.K. heavy-hitters, including "MANTRA", the Grammy-nominated single from their new album amo. One of the most anticipated albums of 2019, amo was released in January to critical acclaim and immediately hit #1 on the UK Albums Chart (a first for the band). amo continues the band’s constant sonic evolution and is a marked departure from their previous releases. 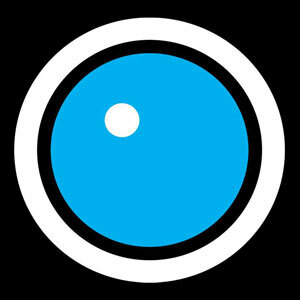 Lead single "MANTRA" showcases the heavy, guitar-laden sound the band is famous for, while incorporating atmospheric electronics into the mix. The stream of consciousness lyrics in the verses give way to a powerful, melodic chorus and drums will have fun with booming, stadium-sized patterns and fills. The star of the show is the guitar riff which comes to the forefront throughout the song. "Drown", the first single from Bring Me The Horizon’s 2015 album That’s The Spirit, was a harbinger of the new alternative/metal sound the band was embracing. The band’s fifth studio album would prove to be their most successful yet, reaching #2 on the Billboard 200 and reaching Gold status in the U.S. "Drown" fluctuates from up-tempo drums to an almost ballad-like pace which keeps drummers on their toes. Vocalists will be challenged to match singer Oliver Sykes' wide range. A tight, staccato bass helps keep the song driving in the buildups. www.bmthofficial.com is your portal to all things Bring Me The Horizon. You’ll find links to stream their new album, amo (featuring “MANTRA” and current single “Mother Tongue”), tour dates (including a summer filled with festival appearances), merch, plus info on joining their mailing list. Bring Me The Horizon Pack 01 can be purchased for $5.49. "Drown" and "MANTRA" can be purchased individually for 25% off for the first two weeks of sale. Songs can be purchased individually for $1.99 each. The Rock Band Rivals Season 10 Spotlight Pass can be purchased for $14.99. VIDEO: Rock Band 4 DLC Week of 3/07: Bring Me The Horizon Pack 01! * Please note that this week’s DLC tracks will be available for purchase on Thursday, March 7th.